Sunoco - I Say Ding Dong Shop - Buy Stickers, Decals & Unique Automobilia. 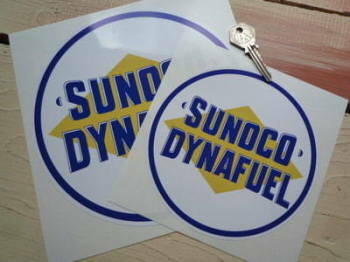 Sunoco Dynafuel Circular Sticker. 12". Sunoco Dynafuel Circular Sticker. 6" or 8". 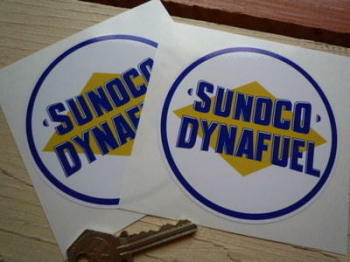 Sunoco Dynafuel Circular Stickers. 4" Pair. 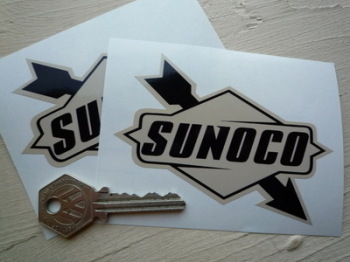 Sunoco Later Style Black & Beige Stickers. 4" or 6" Pair. 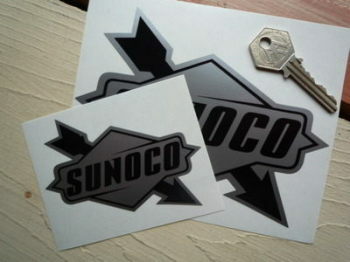 Sunoco Later Style Black & Silver Stickers. 4" or 6" Pair. Sunoco Later Style Stickers. 4", 6" or 8" Pairs. 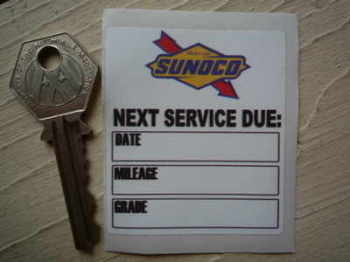 Sunoco Next Service Due Sticker. 2.25". Sunoco Old Style Blue Edge Stickers. 6.5" Pair. Sunoco Old Style Stickers. 4", 5", 6" or 8" Pairs.